www.milkthesun.com brings Project Developers, Investors, Land owners and owners of existing plants directly into business together. With www.milkthesun.com comes the first European online marketplace that combines trading of project rights and inventory systems with a roof and open space exchange. Milk the Sun creates an innovative solution to make the previously confusingly structured primary and secondary market transparent. So far, a number of small suppliers of roofs or project right owners and investors are searching for each other on the photovoltaic market. “From the planning to installation or for the resale of a solar system many middlemen are necessary. The trading of photovoltaic systems and project rights is not only time consuming and tedious, but also associated with high transaction costs”, says Felix Krause, managing director of Milk the Sun. www.milkthesun.com offers project developers, investors, land owners and owners of existing plants the opportunity to network directly with each other. Long broker chains are superfluous. All users can use the platform to set offers or view requests or projects; compare and find solar panels, which reduce the acquisition cost substantially. In addition to the trading platform, Milk the Sun also helps with questions pertaining to insurance or maintenance. If legal in nature, a network of experts and consultants is available for tax or financial affairs of the users. The team from Milk the Sun combines expertise and competence in the field of solar energy. It has many years experience in the overall implementation of large solar plants and excellent market knowledge. Milk the Sun has made it its mission to make the photovoltaic market dynamic to overcome time-consuming and costly hurdles and thereby contribute to the development of renewable energies. Solar energy investment: a good idea? On June 29th 2011, the European Commission presented its proposal for the Union’s financial agenda till 2020: the aim concerning environmental issues is to reduce gas emissions of at least 20%. Furthermore the 20% of EU energy consumption shall come from renewable resources. Solar energy investment is gaining popularity as people realise the many benefits resulting from it. In the past years many people have opened their minds to the possibility of turning to solar energy, so investments in photovoltaics’ research and innovation have significantly increased. Consequently, this source of energy has now a significant role in the electricity grid of many European countries. In the current economic downturn, consumers wonder if an investment in photovoltaic energy is still profitable. In the first instance such an investment seems to be a good option, because the source of energy (the sun) is direct, constantly available and not conditioned by the state of the economy or financial markets. On the other hand it does not damage the environment. Several European nations have launched programmes to foster investments in renewable energy solutions. Such laws are called “Feed-in Tariffs”. These laws enable residential or commercial customers who produce their own renewable electricity to receive compensation for every kWh they generate. If generated electricity for residential or commercial needs is not used, it will be sold to the traditional grid at fix granted prices. A combination of reasons as for instance better cell efficiency and improvements in solar manufacturing costs of solar electricity are causing the fall of the costs of photovoltaic electricity. In a few years many European countries will reach grid parity, i.e. the equivalence of the price of electricity from traditional sources and solar power. Currently, some European governments pay a certain amount a year, in some cases for the next 20 years (like in Germany and Italy). Although the Feed-in Tariffs change depending on which kind of installation is adopted, the investor has always a positive return. As a result solar investments are more advantageous than other types of investments such as shares, government bonds or saving plans. The last and maybe most important point to invest in solar energy is supporting a green economy, which implies that a business has not just a lucrative interest, but is also a responsible towards society and the environment by providing valuable products in a way that does not infringe upon the atmosphere and the climate. By using a solar panel we help the environment by reducing the amount of pollution generating from fossil fuels, the most common polluting source of energy. The only environmental problem of a solar panel may arise from recycling them at the end of their “lives” – which can last up to 25 years or more. Discarded panels might release chemical nanoparticles into the environment. However, it is to hope that the solar industry will consider not just how panels are manufactured but also how they will be disposed when their function is over. The Solar Impulse has been compared to a giant wooden toy airplane. It is able to fly both day and night just on the power of the sun. The Solar Impulse, with its two pilots, has been flying across the US in sections on its Across America mission in order to bring awareness on clean renewable energy to the American public. Since the start of its 45 day flight from San Francisco to Washington (so far), it has gained much attention from its fans around the world, including Ernest Moniz, the US Energy Secretary. Moniz, head of the US Department of Energy recently praised the efforts and innovation of the solar plane. He stated that the Solar Impulse will not alter the way society flies but rather it raised new possibilities for the buildings people live in and the cars they travel with. Andre Borschberg, the CEO and one of the pilots of Solar Impulse also agreed, stating that this light-weight technology will really be beneficial “on the ground.” It can lead to cleaner appliances, greener cars, and more energy efficient buildings. As airplanes only produce about 3% of the world’s greenhouse gases, the true potential for solar energy and new clean technologies are located on earth, rather than the sky. 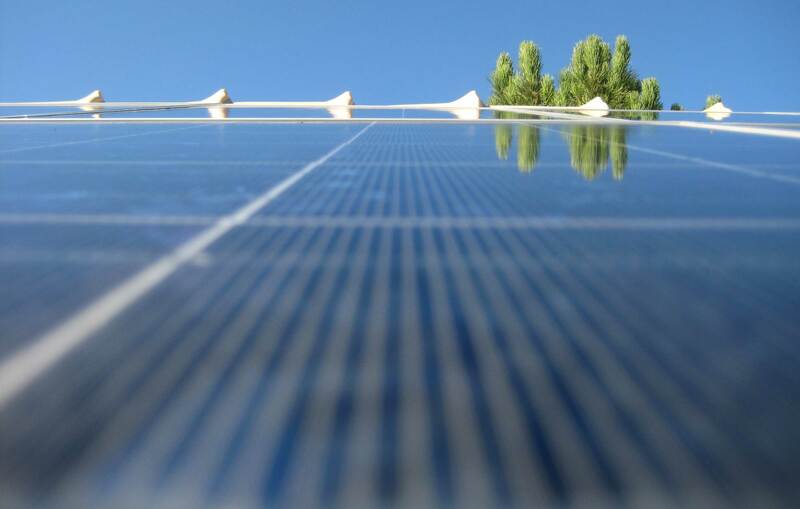 The light weight technology could prove essential to making solar energy cheaper. The Solar Impulse implemented light-weight carbon fiber and lighter solar cells which could be used on rooftops to help decrease costs. The plane is installed with 11,000 solar cells including 10,746 on the long wing that reaches almost 65 metres. Its wingspan is that of a jumbo jet but it weighs only 3500 pounds, the weight of a small car. With this flight, Borschberg also wants to promote solar energy, better batteries, light weight materials, and the possibilities of integrating all three. At the beginning of the project, just ten years ago, Borschberg was told that his idea was impossible to execute. Now, the project is a 13 year privately funded European project with an expected cost of $150 million USD. Last year, the airplane made the trek from Switzerland to Morocco. Most recently it flew from St. Louis to Cincinnati to Washington. Its final trip will be in two weeks to New York City, ending a trip that began in San Francisco. There are possibilities that by 2015, an updated version of the plane will make a trip around the world. Hopefully, its mission to bring awareness and innovation to clean energy and to the American public will be just as successful as renewable energy continues to become increasingly popular around the world. Like his predecessor, Steven Chu, Moniz is also an advocate of renewable energy. He believes that solar energy is quite a competitive market and pursuing it will be essential for the American economy and community. There have been many people, mostly right wing politicians, against Obama’s use of federal stimulus money for solar firms. American solar firms like European firms have been filing for bankruptcy due to the import of cheap Chinese solar panels. As solar panel prices drop, the industry will once again shift and the industry is all eagerly waiting to see what will happen.